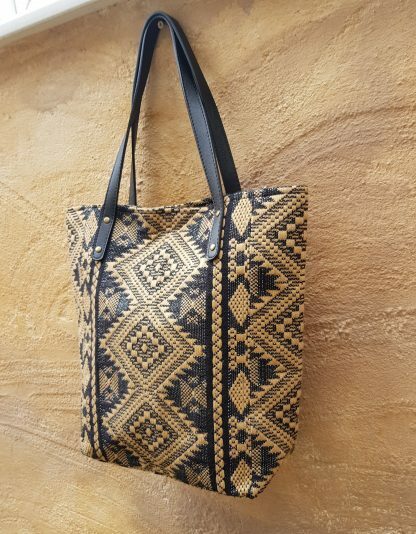 Brown tote bag made from woven cotton fabric,with silver lurex thread that gives it a slight silvery finish.With vegan leather handles,the bag is very lightweight, the bag is secured with magnetic button.Fully lined with cotton fabric with a zipped compartment inside. 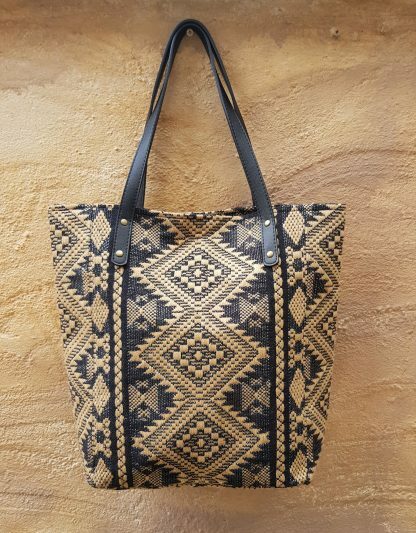 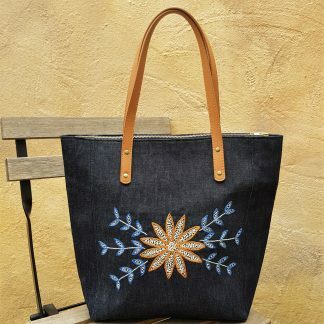 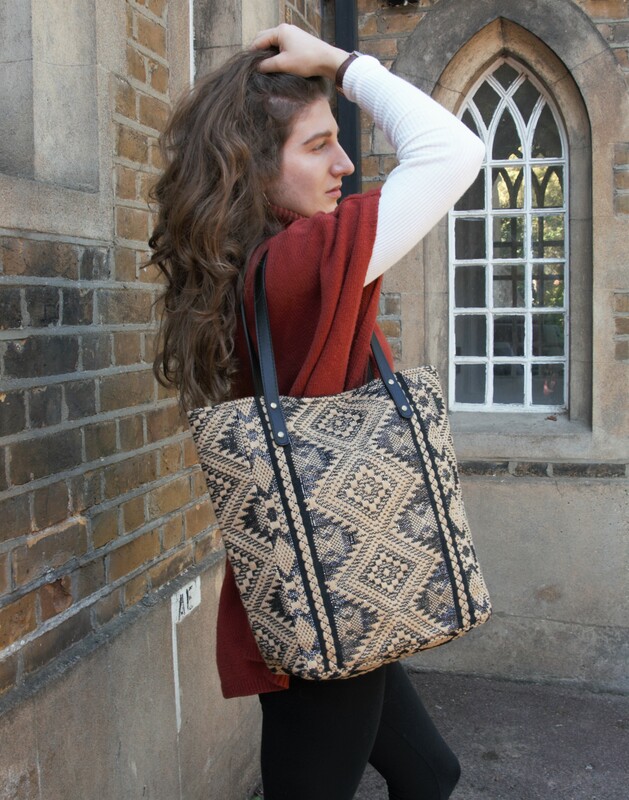 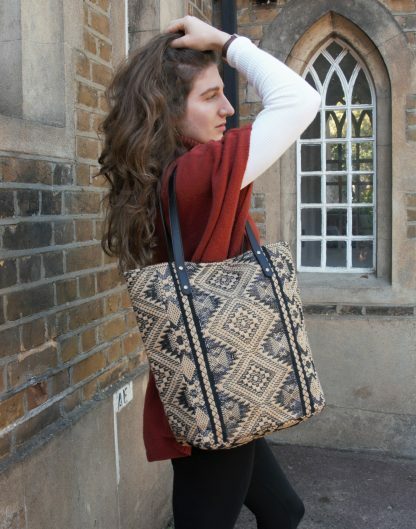 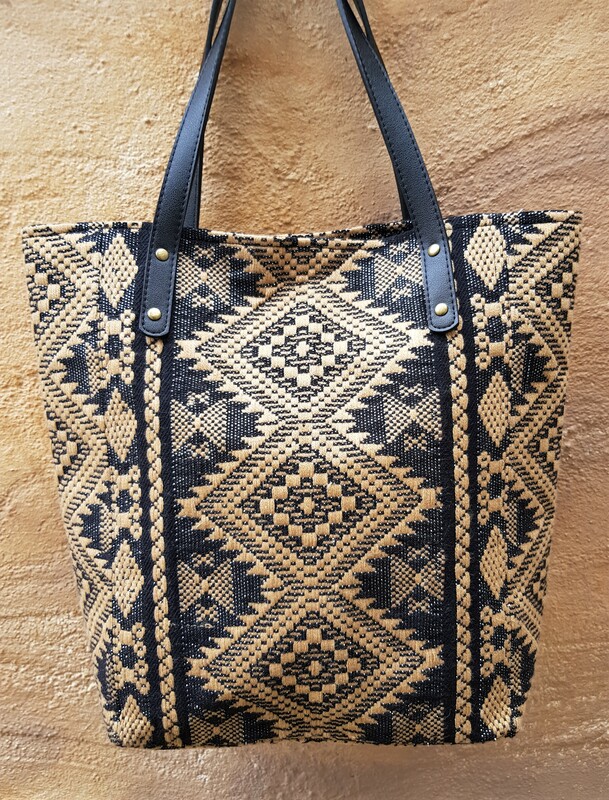 Brown woven Tote bag in Aztec design -this is a lovely tote bag made from woven cotton fabric,it has silver lurex thread woven into the fabric that gives it a slight sparkly finish. The bag is very lightweight, the main compartment of the bag is secured by magnetic button.Fully lined with pretty cotton fabric with a zipped compartment inside.The handles are vegan leather. 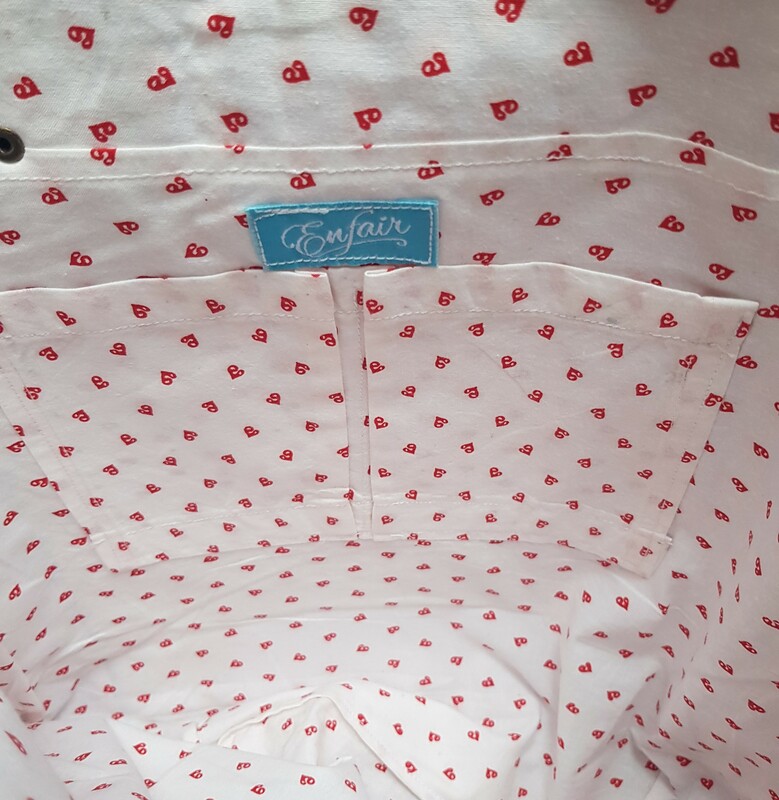 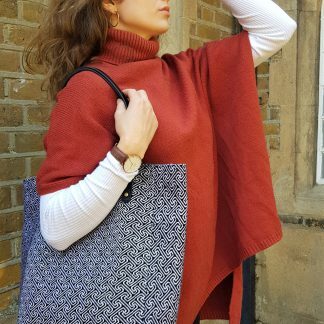 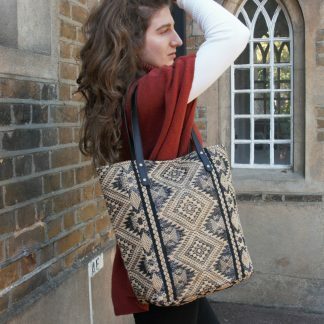 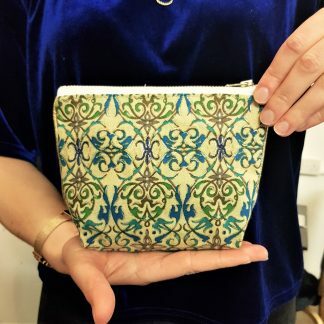 Enfair is a North London based Fair trade enterprise that works with women artisans from disadvantaged backgrounds in India. 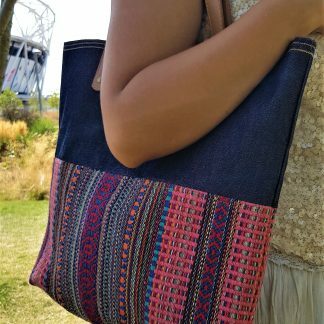 Our objective is to empower these women with life skills including sewing,weaving and embroidery so that the skills they learn enable them to earn a decent income.A huge amount of love,creativity and skills goes into each of our unique products.